Located in the previous Catharijneconvent in Utrecht since 1979, the Museum Catharijneconvent is a state-run museum of religious arts. Its collection covers those of the museum religious art of the Catholic Archbishopric of Utrecht which was in the convent until 1979. In 2006, restoration was made and which led to the temporary closure of the Convent. This is a component of the Utrecht Museum Night. The Museum Catharijneconvent houses a wide-range collection of historical and art-historical items coming from the early Middle Ages to the present. Pictures of Catholic and Protestant art as well as cultural history of the Netherlands and its impact on the Dutch society are shown in the enormous collection of the museum. Also included are book bindings decorated with precious gems, richly illustrated manuscripts, paintings, images, altarpieces, ecclesiastical items and clothing in silver and gold. The Museum Catharijneconvent holds a lengthy and rich history. Initially, it was built in the 16th century as a monastery for the Order of the Knights of St. John members. It was named after Saint Catherine of Alexandria. Eventually, the infirmary of the monastery turned into the Utrecht’s first teaching hospital while the Catharijneconvent then used for a broad variety of purposes. This place has also given space for the military and for the student fencing and acrobatics clubs and used for so many years as a school gymnasium. This has also housed some museums. After the complete renovation was done, the present Museum Catharijneconvent was officially opened to public on June 9, 1979 by Queen Juliana. 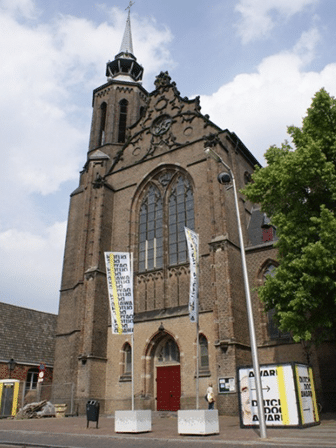 If you seriously want to have significant amount of knowledge of the past and up-to-date Christianity in the Netherlands, you should visit the Museum Catharijnecovent. Visitors can experience the mesmerizing history in a magnificent medieval monastery. One of the best parts of this Dutch museum collection is the ivory-work from the early medieval Lebuinuskelk. Other highlights are the works of Jan vanScorel, Frans Hals, Pieter Saenredam and Rembrandt which feature Dutch paintings of the 16th and 17th centuries. More recent Dutch artworks of Shinkichi Tajiri, Jan Toorop, Marc Mulders and Frans Franciscus are also displayed here. Museum visitors will definitely love the permanent collection of Museum Catharijneconvent which is composed of distinctive historical and art-historical exhibits varying from the early medieval period to the 21st century. The museum contains both Catholic and Protestant artifacts, making it only one of its kind in the whole world. The Museum Catharijneconvent conducts exhibitions of the earlier period and the current Christian heritage in the Netherlands, with the centuries-old and modern art and artifacts. If you have the internet, you can effortlessly access the database containing more than 65,000 items in Museum Catharijneconvent collection. More than 40,000 articles, periodicals and books on Christianity in Netherlands in the museum library are also available online. If you want to visit the museum, you should go to the Lange Nieuwstraat 38, 3512 PH Utrecht, the Netherlands. At the Utrecht Central Station, you can print a free map at the Info Stop column, showing the walking route to the Museum Catharijneconvent which will take about 15 minutes. You can also take the bus no. 2 from Utrecht Cental Station (Museumkwartier, circular bus route). This will stop at the Catharijneconvent on the Lange Nieuwstraat. If you are traveling by car, you can easily follow the parking route to multi-storey car parks on Strosteeg and the Springweg. On the Lepelenburg or Maliesingel, the coaches might park.